Since Australia’s series against South Africa in November, Stoinis has averaged just 29.18 with the bat at a strike rate of 81.26. Stoinis’ poor form didn’t start there. Furing last winter’s tour of England, Stoinis averaged just 15.20 at a strike rate of 83.51. If Stoinis was striking at more the a run a ball he might be able to get away with those averages, but he isn’t. The main issue with Stoinis is that he lacks game awareness. When he starts his innings he bats far too slowly, when he should be trying to score a lot quicker. When he gets out, he puts a lot of pressure onto the other batsman to make up the runs. The best example of this was the Big Bash final. While Stoinis will probably be in the World Cup squad, Australia will need to take another all-rounder in case he does not perform. They need someone who is able to combine with Glenn Maxwell to bowl at least ten overs between then. If not Australia may have to turn to Aaron Finch with the ball. Ashton Turner would be an excellent backup all-rounder to take to England, but the fact that he is unable to bowl rules him out. Here’s a look at some of the all-rounder options. 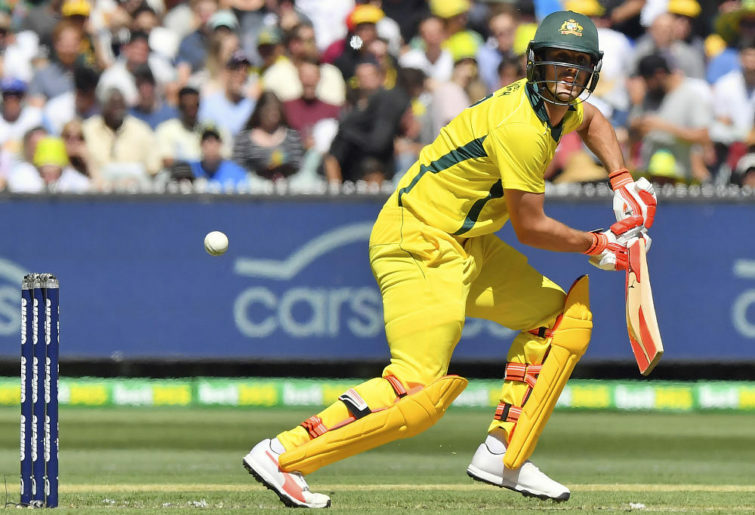 Most of Short’s success in List A cricket has come while batting in the top three for Western Australia, but with the form of Finch and Usman Khawaja and the return of David Warner, it’s unlikely he’d get a game batting up the order. While he has little experience batting down the order, he did bat at seven for one game during Australia’s tour of England last year and made 47 not out. If he were to play, Nathan Lyon would probably be pushed out of the Australian line-up, with the Australian bowling attack consisting of three fast bowlers and Adam Zampa with Glenn Maxwell and Short bowling out the rest of the overs. Even if he isn’t in the World Cup squad, he’ll probably be in the Australia A side for the one-day leg of the tour. Despite his poor Test performances, Marsh boasts a strong ODI record. He hasn’t played for the Australian ODI team in over a year, but was in the squad for the January series against India. His overall ODI record makes him an attractive option. Despite having a decent domestic record, Henriques failed to perform at international level. He’d be unlikely to go to England. Christian would be an interesting selection because he doesn’t have a domestic contract and just plays Twenty20 cricket. He could bat at No.7 as a lower-order hitter. He hasn’t played an ODI in more than five years so he’s unlikely to be considered. Two years ago, Hilton Cartwright was a favorite of the Australian selectors. He played two Tests and two ODIs but hasn’t been seen since. His batting and bowling record in List A cricket makes it hard to see him get picked. Labuschagne has a decent domestic batting record, but the fact that he’s only bowled three overs in his entire List A career makes it hard to see him getting picked. Although seeing as how much the selectors like him, nobody should be surprised if he ends up making the World Cup squad.